No matter how much I think about it, a nail polish remover seems like such a strange product to review. A seemingly no frills staple, it’s just part of our beauty regime that is just boring and blah – a chore. Until now, that is. 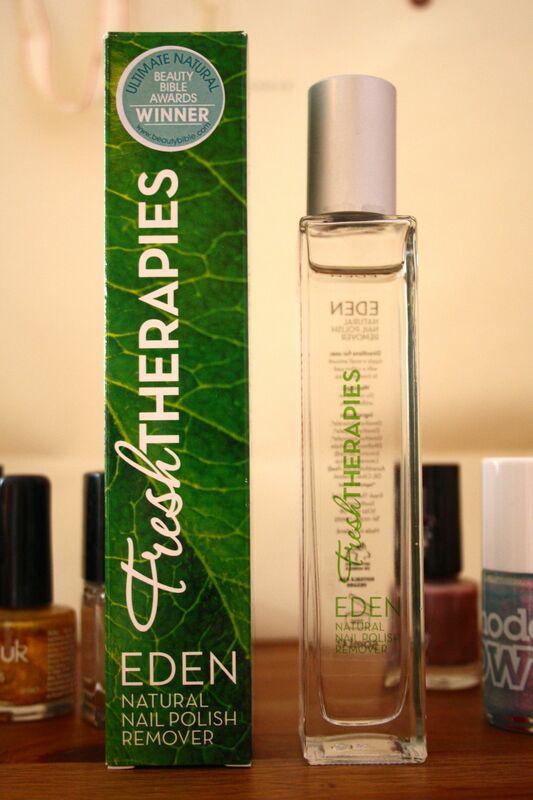 I was delighted to be asked to review Fresh Therapies’ Natural Nail Polish Remover*, not only because my other was running out, but because I thought it was a great concept. A high-end nail polish remover, and a natural one too – I just couldn’t resist. This product is free from any acetones, or harmful, stripping ingredients to help preserve the nails natural oils, ensuring your nails don’t dry out or crack. There’s nothing quite like the flakey, dry and desperate feeling most nail polishes leave behind, so Fresh Therapies aim to make the whole process a little more pleasant by excluding Isopropyl, Alcohol, Glycerin, Benzophenone 1, Acetone and ButylAcetateToluene and adding a lovely fresh lime fragrance to the product. As I’m sure you’re all aware, there is such a stigma with ‘natural’ products, people think they simply don’t work. That’s why I love products like this, they just prove all of the nay-sayers wrong. This product works like a dream. I would recommend getting some of the ‘dry wipes’ on the website, as they do work better than cotton pads (if a little more fiddly), but after just a few seconds soaking the polish is ready to just be cleansed away, leaving the nail looking healthy. The product does leave behind a greasy residue, but it washes off really easily with normal hand soap. I find that I need less of this than my regular cheapo nail polish remover, and it’s far more efficient at removing stubborn nail polish. I even compared it to the Bourjois 1 Second remover and it’s way quicker, just a bit of gentle persuasion and even glitter polish is on its way. The only thing I’m not sure about is the price point. The nail polish remover I normally use is around £2.50, whereas this is £8.99 for 50ml. On the surface, it seems completely irrational to have a ‘high-end’ nail polish remover, because it really doesn’t need to do all that much, however this product goes above and beyond its duties, and leaves nails and cuticles well cared for and fresh as a daisy. No staining, no stripping, it just does exactly as you want it to. It is also worth noting that a little goes a looooong way. I need just a quarter of what I would normally use of this, and the picture shows how much I’ve used for 3 full removals, so it really would last a long time. What I also love about Fresh Therapies is that they also do these nail polish remover sachets, which are absolutely ideal for travel, or just keeping at work in case you have a pre-important-meeting nail polish disaster! The only negative with this product is that when I first used it, I picked up something with a blue packet and the ink transferred onto my hands, so just go careful after using this and make sure you give your hands a good wash. It really is just a tiny niggle, though. I really, really love this product, and would definitely recommend it to anyone, even those with sensitive nails and skin. What do you think about a natural nail polish remover? Would you give it a go? For only 99p you can request a sample, so why not try it for yourself? I love this polish too! It makes my nails shiny I love it! At last to have found a superior natural nail polish remover that does its job and more is fantastic. I would never use anything else now.